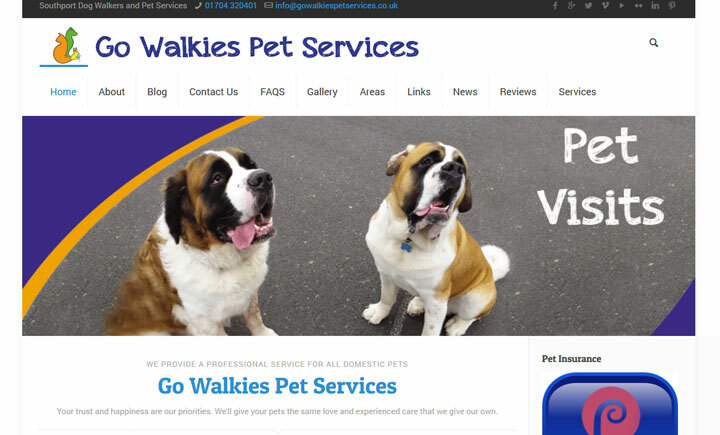 Based in Southport, GoWalkies Pet Services provides dog walking services for local dog owners. I cover all of Southport, Banks, Birkdale, Ainsdale, Hillside, Formby and Scarisbrick. Formed in January 2012 the company has many years of experience with various animals, breeds, temperaments and voluntary dog walking for local rescues. We are a dedicated and reliable team who are passionate about dogs and cats and are only too happy to provide companionship, affection, socialisation and exercise for your beloved pet.